Steam support gave up after a couple of suggestions. But after working through many possible fixes, I worked out what was wrong. Here’s some of the other possible fixes first. I worked through these initially and these corrected the issue for most people; the solution that helped me is a bit more obscure and so I’ve listed it at the end. 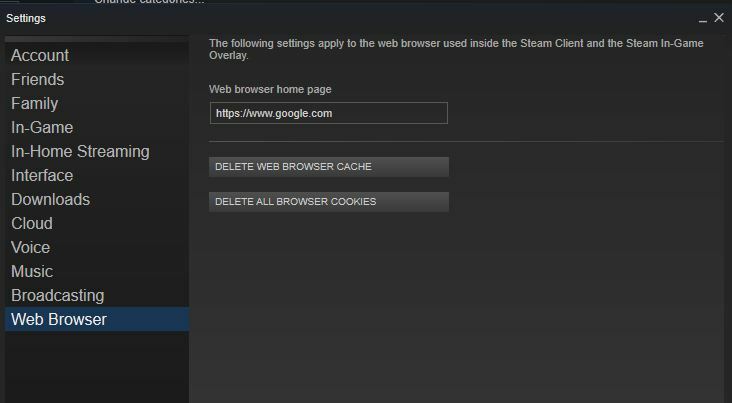 Go to the Web Browser section of the Steam settings and delete the Cache and Cookies. Go to Users[User Name]\AppData\Local\Steam and delete all the contents of the htmlcache folder. Don’t delete the folder itself! Appdata may be a hidden folder so you may need to select the options to view hidden files in Explorer (under View in Windows 10). The following instructions are to be applied to both the Steam.exe as well as the steamwebhelper.exe. Double click on Steam.exe to launch Steam. You can manually create exceptions for those two files. If that doesn’t work (and the errors persist) you can try copying the SteamWebHelper exe from a subfolder under \Steam\bin\cef to \Steam\bin. Go to wherever your Steam is installed to try that. The almost-nuclear option. There’s a guide to reinstalling here but a partial re-install (retaining your downloaded games) can be found here. None of the above worked. I could use the normal web-browser but it made some things a bit of a pain (getting gift notifications, for example). Eventually I took the plunge and re-installed my PC. It still was broken! Even though Steam was the first thing I installed! Now I also knew I could login on another PC in the house and use Steam fine. That pointed at a hardware problem but I couldn’t work out what would stop web access on Steam only. The router must be ok (as it worked on other machines AND I could use a normal browser). I couldn’t reliably reset the firewall exceptions (as above) so I thought it might be something to do with the permissions on the Steam folders. I normally have Steam installed to c:\games\Steam to keep it organised (and for another reason I’ll come to in a moment). I re-installed Steam to the default location: Success! To test I went back to the custom location; failure. So that was it; something about the C:\Games\Steam folder. I hadn’t messed with any of the permissions there. But that I had done was mount a drive on c:\games. So instead of having a 2nd drive on D:\, I had it on c:\games so that Steam had the whole drive to play with. This has been my config for years, though multiple systems and OS’s. So something changed in Windows or Steam a few months ago that stopped the firewall being able to correctly create exceptions on mounted drives. 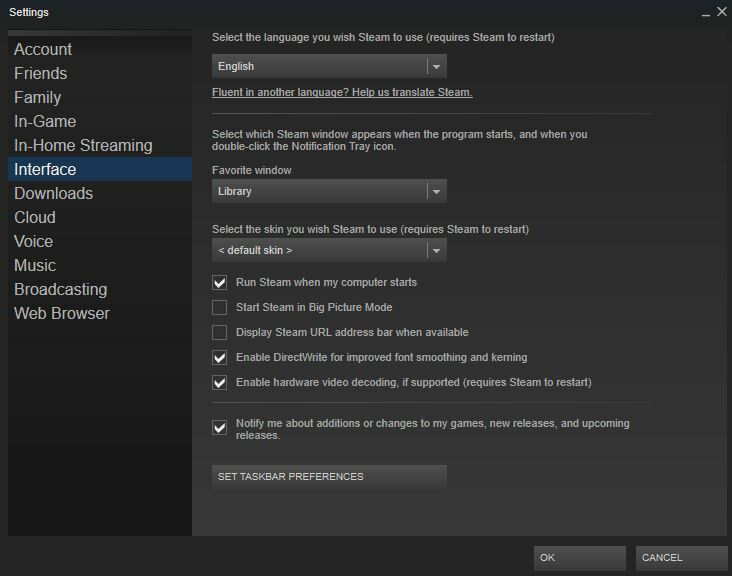 When I was diagnosing initially, one of the last things I tried was installing Steam with all the defaults (location etc). When that worked fine, it pointed me at the disk location as the source of the problem. Might be worth a try?